Los Angeles’ six year earthquake lull came to a close last March 17 at 6:25 AM with a magnitude 4.5 shaker that went viral due to LA morning news anchors’ on air reactions. Media across the state of California had been alerted days prior however that a higher probability window for a moderate to large temblor might be anticipated at either dawn or dusk of March 16. 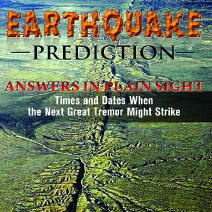 The author of the advisory, David Nabhan, is directing a worldwide public opinion campaign to impel the governor of California to request that the Earthquake Prediction Evaluation Council investigate the thesis that dawn and/or dusk, during certain new and/or full moon phase dates might be highlighted as potential intervals for increased seismic activity on the US West Coast.